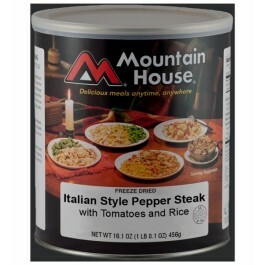 Mountain House Italian Peppered Steak – #10 Can This Mountain House Italian Peppered Steak with its tender cuts of steak, red, green, and yellow peppers will be sure to satisfy your taste wherever your adventure takes you.Mountain House freeze-dried #10 cans provide an amazing 25 year shelf-life when stored at 72F or cooler. 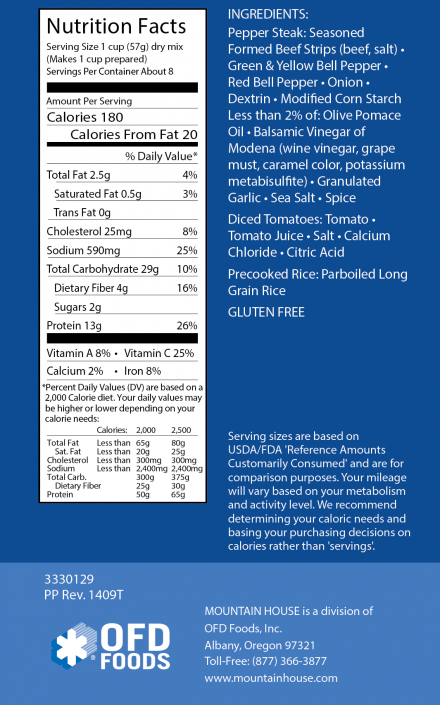 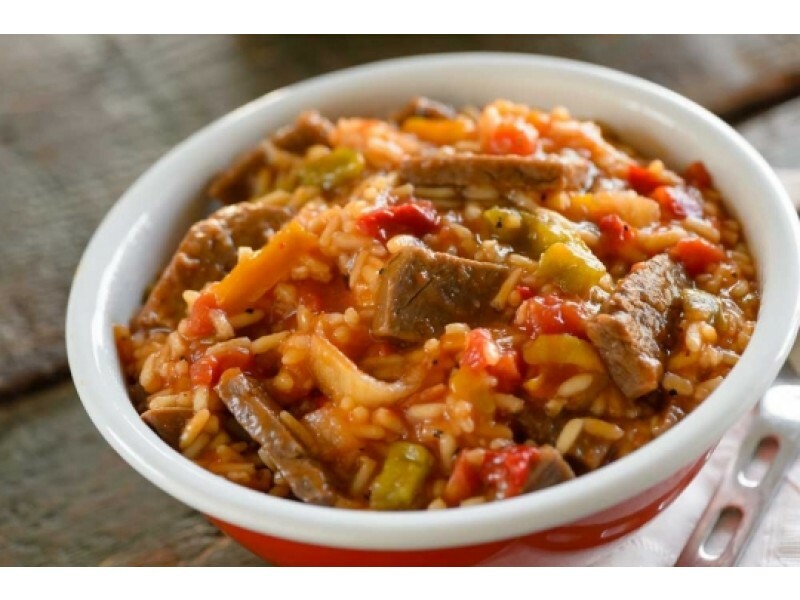 They make food storage easy.8 one cup servings180 calories per serving Opened shelf life of 7-21 days (resealing lid included) 8-10 minute preparation time. 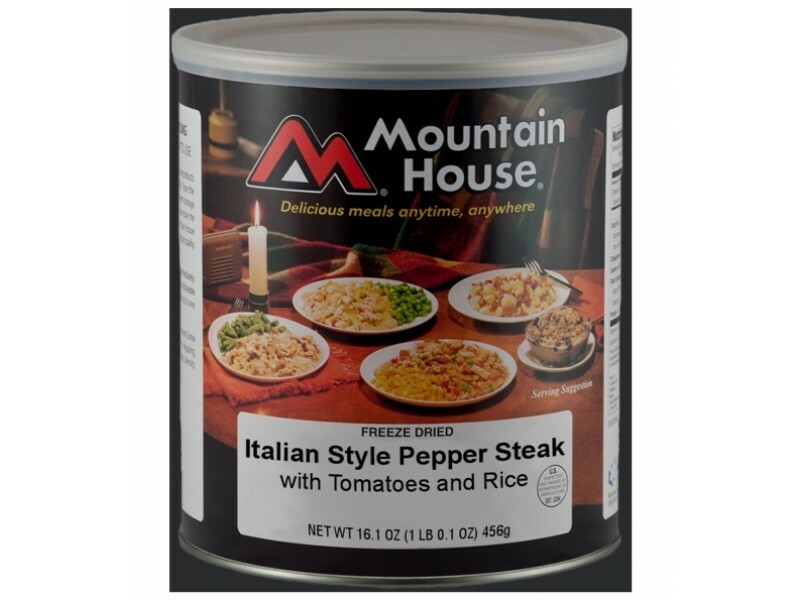 No cooking needed just add water!Try a can of Mountain House freeze-dried food today and see why customers continually rate it as the best tasting freeze-dried food on the market!